Well we have a Chrome extension - no idea how much different that is from Firefox. We could share the code with you if you want to take a look. Open Xchange is a very common groupware that we use successfully in our facilities. 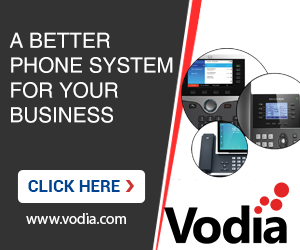 The phone numbers of the contacts are displayed as clickable uri: callto:0815 It would be fantastic to have this Uri in the following format to make calls over a Vodia PBX: https://pbx:443/remote_call.htm?user=09%40localhost&dest=0815&auth=09%40localhost% 3Asecret&connect=true Unfortunately, it looks like this URI can not be changed in App Suite. So it needs a Firefox WebExtension. Is that already there? Otherwise, this could be developed with little effort. I would participate in the development costs if the code were released as open source. Hi, As of now, manual configuration is the only way to go as we don't provision it yet. This will affect the ringing patterns for alot of our clients too. If the logic of this has changed, can we have another setting that functions as this one did previously please? Eg. Ring all extensions defined in this field simultaneously after (x) seconds. Easybell anwer: Wir haben Ihre Störungsmeldung geprüft. Die Ursache ist eine fehlerhafte Konfiguration Ihrer Telefonanlage. Die UPN (User Provided Number / gewünschte CLIP Rufnummer) wird derzeit im From-User Part des SIP-Invites übermittelt. In diesem Feld muss jedoch die NPN (Network Provided Number / Stammrufnummer) übermittelt werden, damit der Anruf richtig geroutet werden kann. Ihre Telefonanlage kann die gewünschte UPN in einem der folgenden vier Felder hinterlegen: - P-Asserted-Identity - P-Preferred-Identity - From-Display - Remote Party ID ***** I configured Vodia dom_trunk_edit.htm to use P-Asserted-Identity for CLIP number. Why is it not used?? Hi, Looks like Maybe they changed some policy that we don't yet follow or something. We will still have to look into it. Hello, Was there any update on this? I understand what you are saying, but what I am saying is this has changed in operation from previous versions. Which is effecting how my customer agent groups are working. Can you confirm if it's changed ? like i said previously all additional agents would ring when this stage was hit and thats the function I need back. We would love to remove that feature, but we tried a year ago and there were still people using it. We even tried to hide the field which resulted in another uproar... Taking things away that are used for years is not making friends! Anyway for new installations I would not recommend to use it any more. Well, is there a difference on that we should have for IOP (which is Rasperian) and a Raspberry Pi 3 Model B+? Originally we did not really change the SSH files, just patch them - however the problem was obviously that the OS upgrade wiped out SSH and now we had to write the complete file to get this working. Maybe we have to do this depending on the SSH version? IMHO it is a big deal, because IOP users should have shell access when they enable it from the GUI. Actually the script even restarts sshd, so it would not even require a reboot. The "additional agents" are just put on the list as if they had logged in. The typical case is to include additional resources, e.g. managers or sales personell when agents are not picking up calls. The algorithm to choose the next agent is then done as if they had logged in. Ehen using the "longest idle first" that would usually be a manager, so it might make more sense to choose the random logic. It does not really help to get the waiting lines shorter. Maybe we should have another setting that says if there are more than so-and-so many callers waiting include the following agents. did a fresh install of the latest Raspbian (2019-04-08-raspbian-stretch-lite.img) same procedure: installed 62.0 then updated to 62.1 using the web GUI. did a reboot and afterwards -> SSH connection refused.